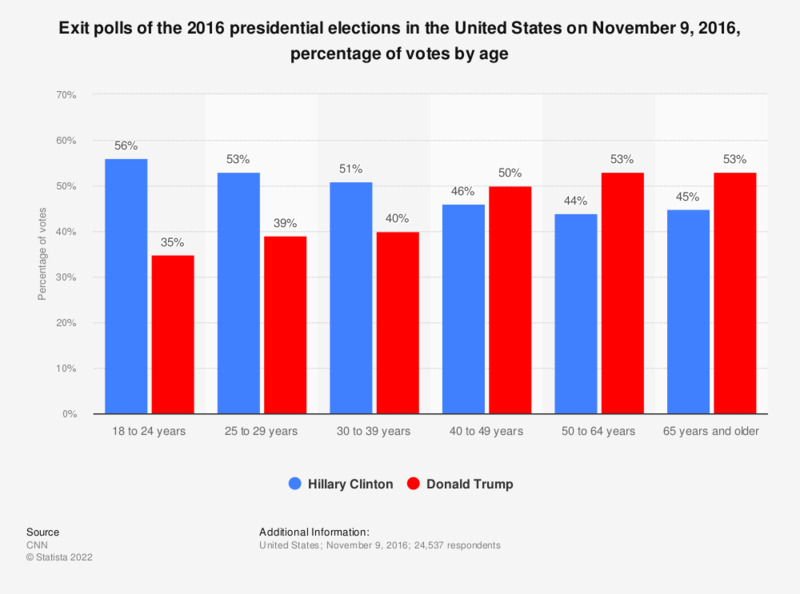 This graph shows the percentage of votes of the 2016 presidential elections in the United States on November 9, 2016, by age. According to the exit polls, about 56 percent of voters aged 18 to 24 voted for Hillary Clinton. How likely do you think it is that Donald Trump will use his position as president to make himself richer? Florida: Do you have a favorable or unfavorable opinion of Donald Trump?